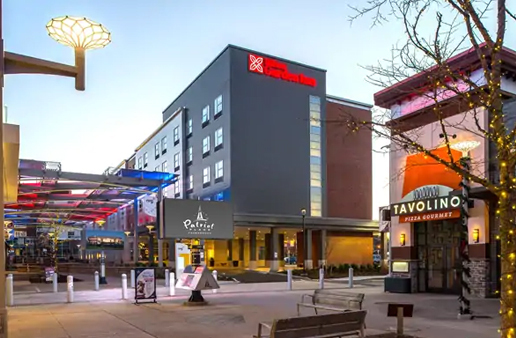 An extra attraction of the location is Patriot Place, which is adjacent to the Hilton Garden Inn and Gillette Stadium. 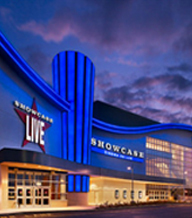 Patriot Place features more than 1.3 million square feet of shopping, dining and entertainment. 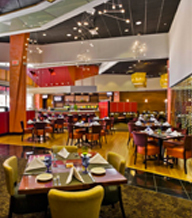 At Patriot Place, you can dine at one of 19 signature restaurants including CBS Scene Restaurant, Davio’s Northern Italian Steakhouse, Skipjack’s, Tavolino, Toby Keith’s I Love This Bar & Grill, Bar Louie, and family favorites like Red Robin, Five Guys Burgers, Moe’s Southwest Grill and Olive Garden. Head over and try one of our scrumptious gourmet desserts from Cupcake Charlie’s, Godiva Chocolates, or Menchie’s Frozen Yogurt. And, you can shop at retailers like A. C. Moore, ALEX AND ANI, Victoria’s Secret, Olympia Sports – Under Armour, Whiting & Davis, Express, Charming Charlie, and the region’s only Bass Pro Shops. 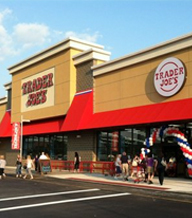 You can experience the area’s largest Trader Joe’s, or get your beauty fix at Ulta Beauty conveniently located in the South Marketplace. And, if you have any extra time or energy, you can rock out at the retro-style bowling alley, Splitsville Luxury Lanes featuring live entertainment by Howl at the Moon, or take in a state-of-the-art movie-going experience at the fourteen-screen Showcase Cinema De Lux, or catch a world class performance by top artists in live music and comedy at Showcase Live.